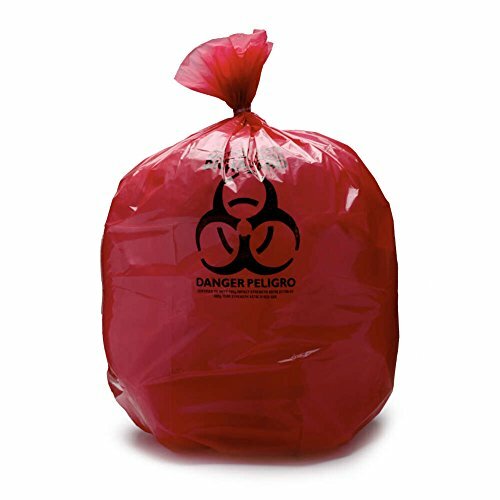 Made from high-quality resins, these not made with natural rubber latex 1.3-mil Heavy-Duty Biohazard Waste Bags measure 33 by 39 inches and hold 33 gallons of infectious waste. The red bags meet federal and state regulations for tear resistance and impact resistance. Printed in both English and Spanish.